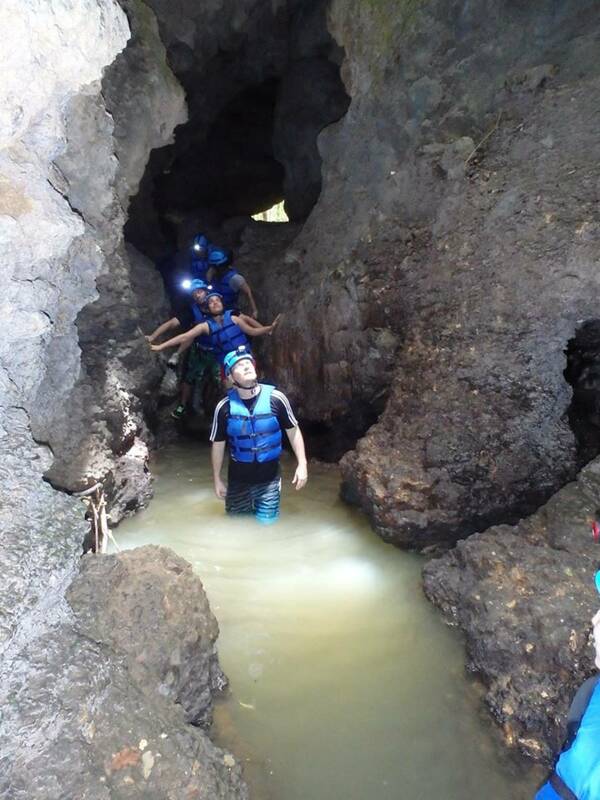 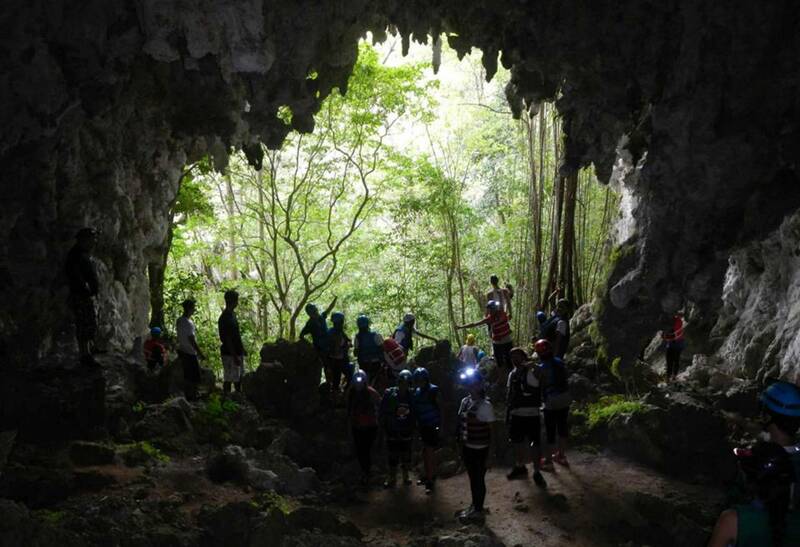 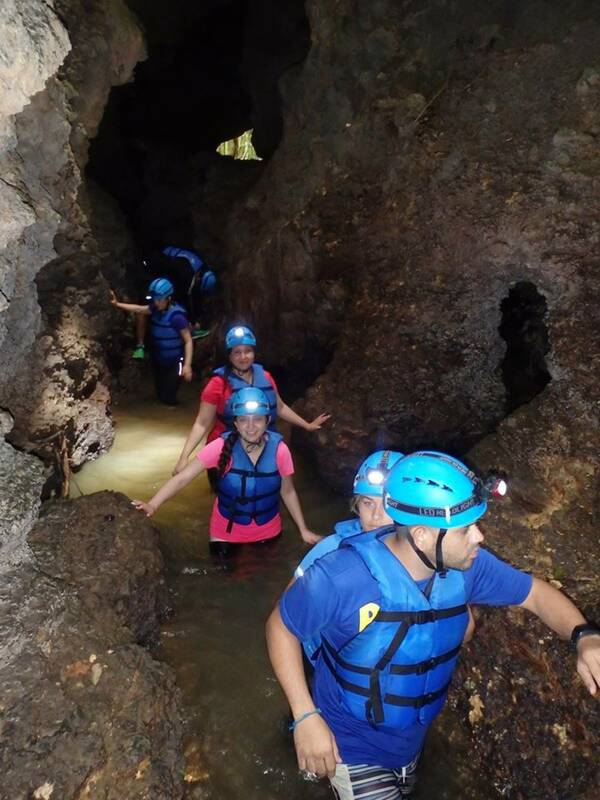 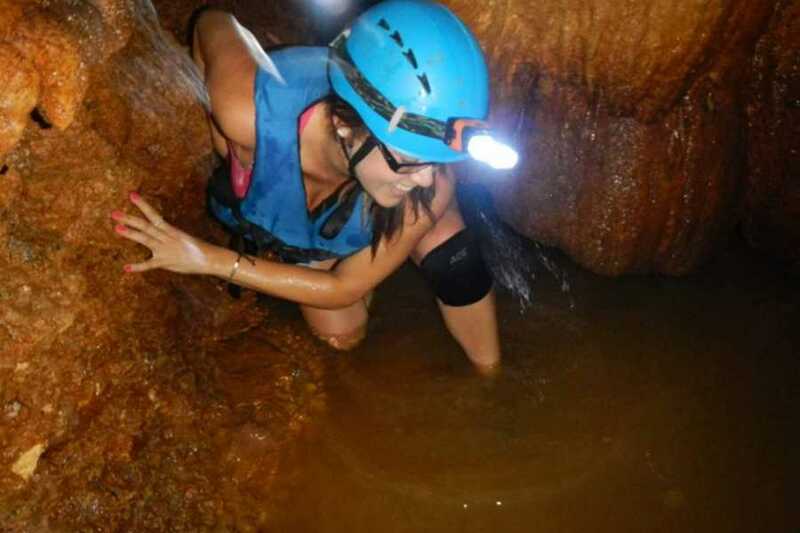 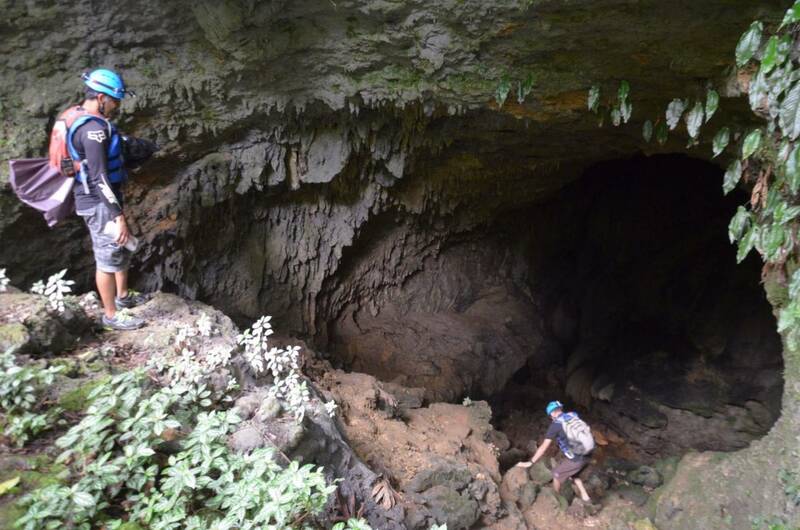 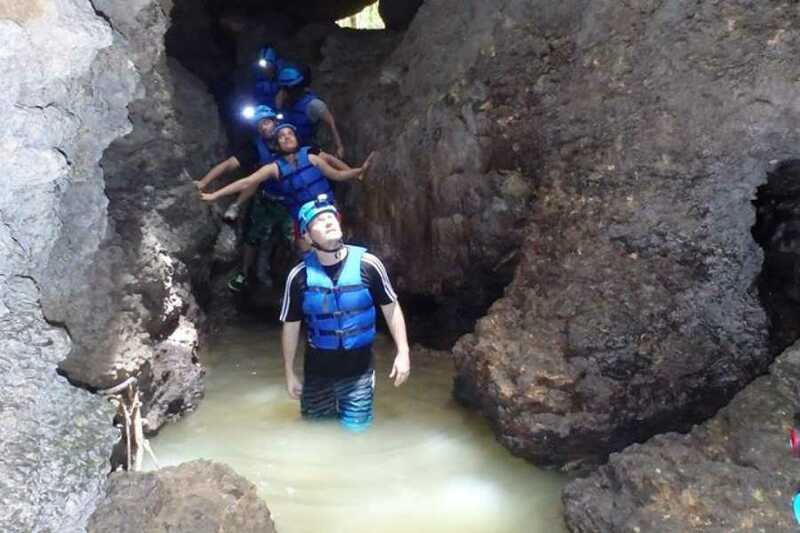 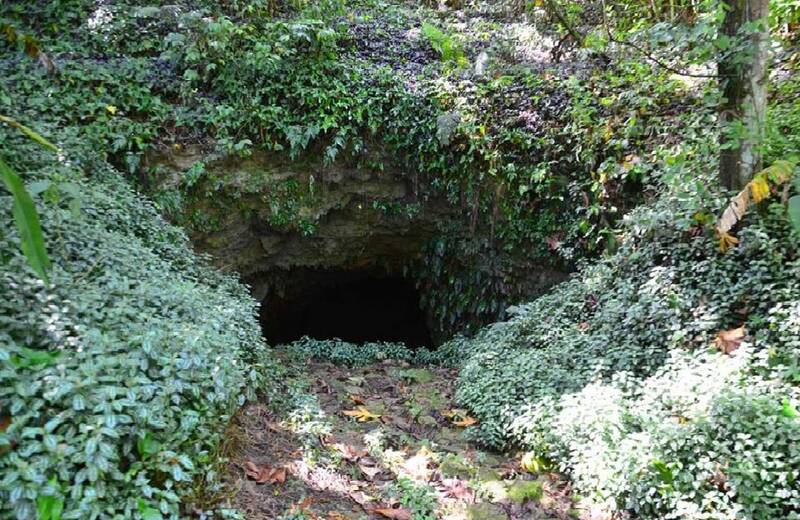 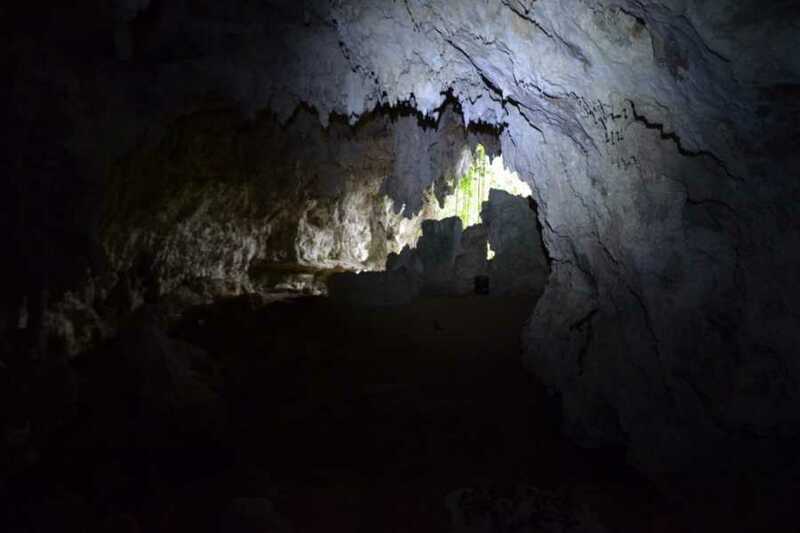 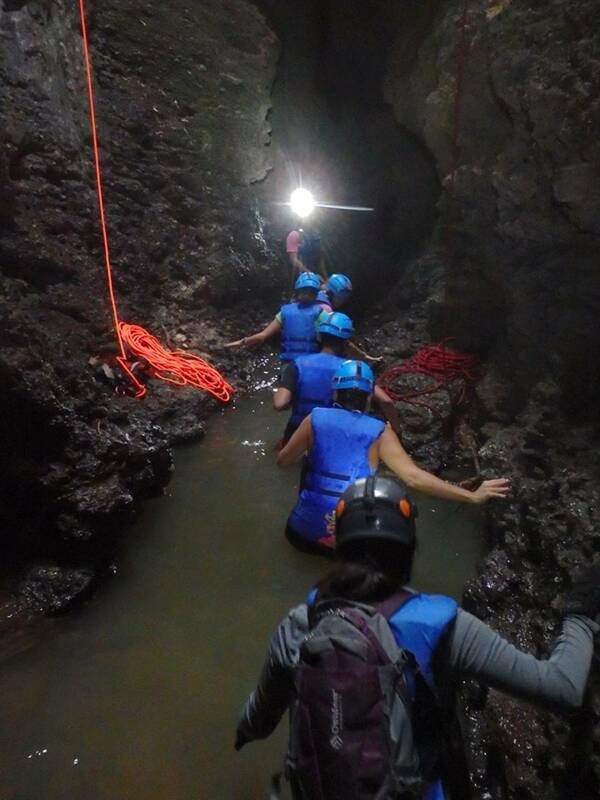 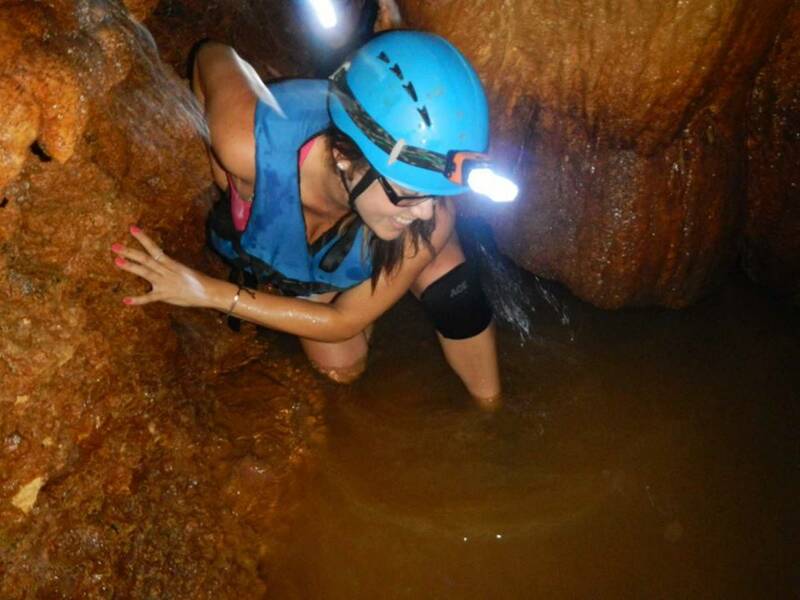 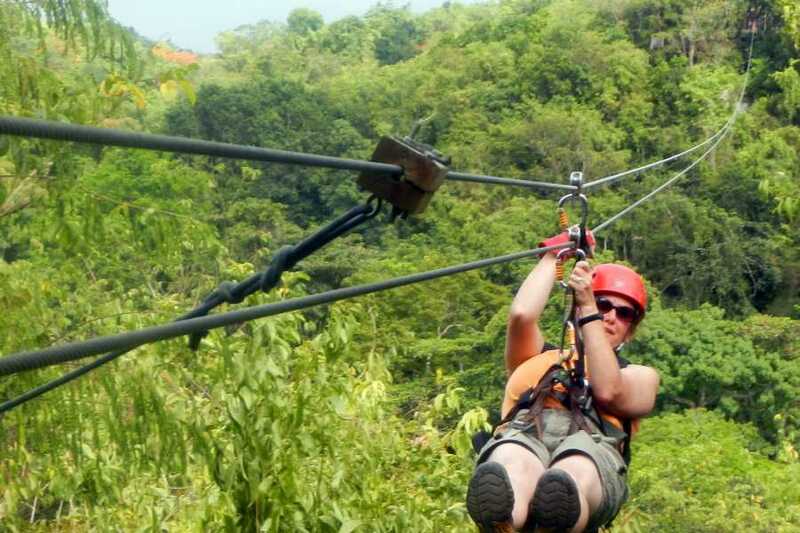 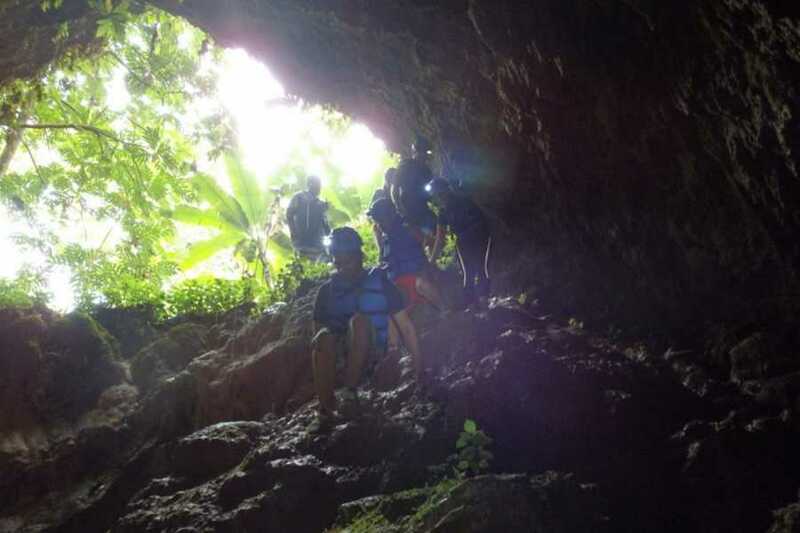 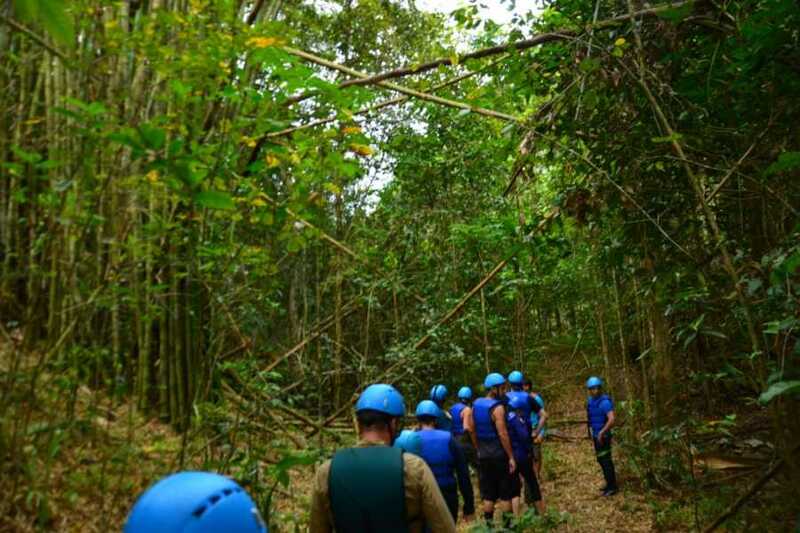 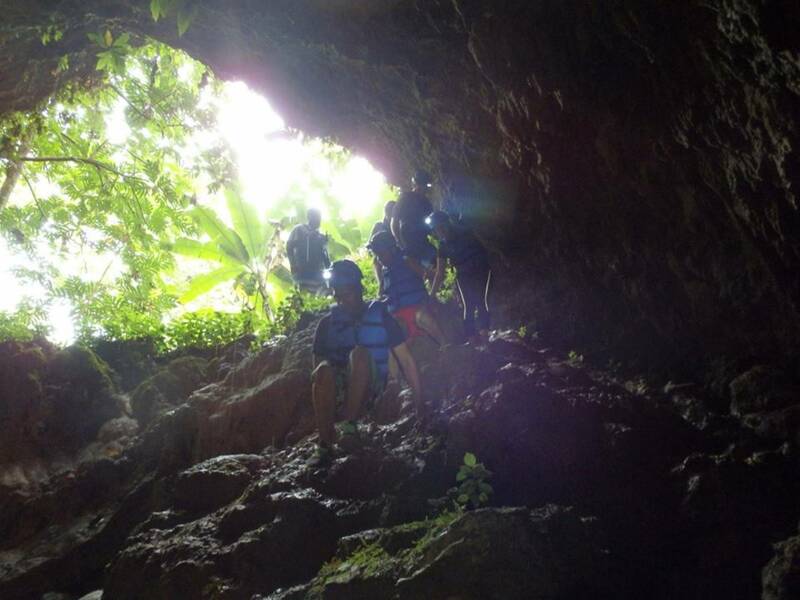 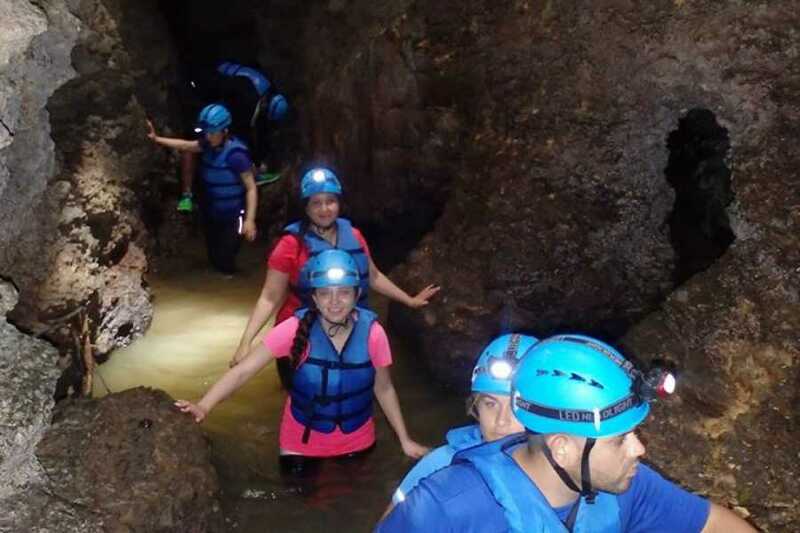 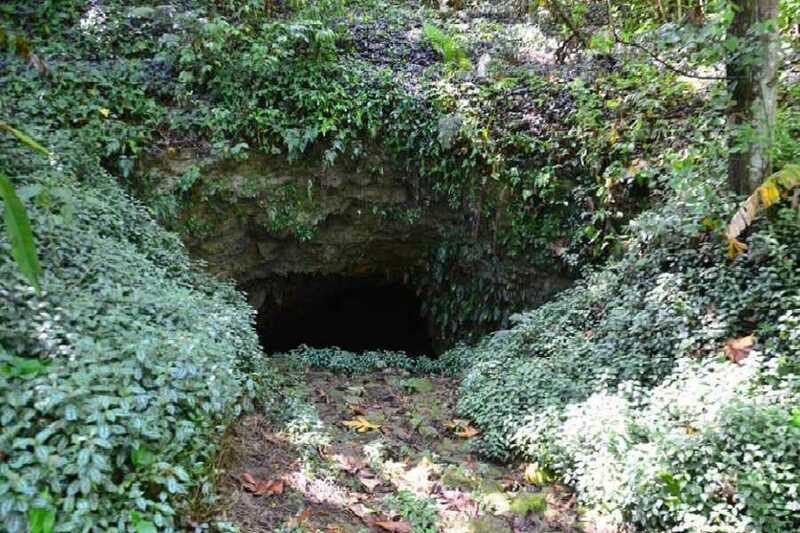 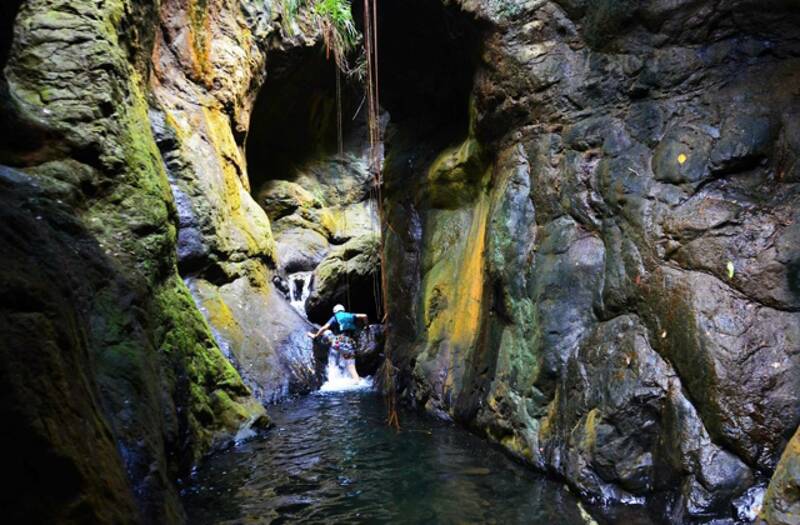 We offer exhilarating fun as we trek through several caves and hikes in lush rain forest conditions. 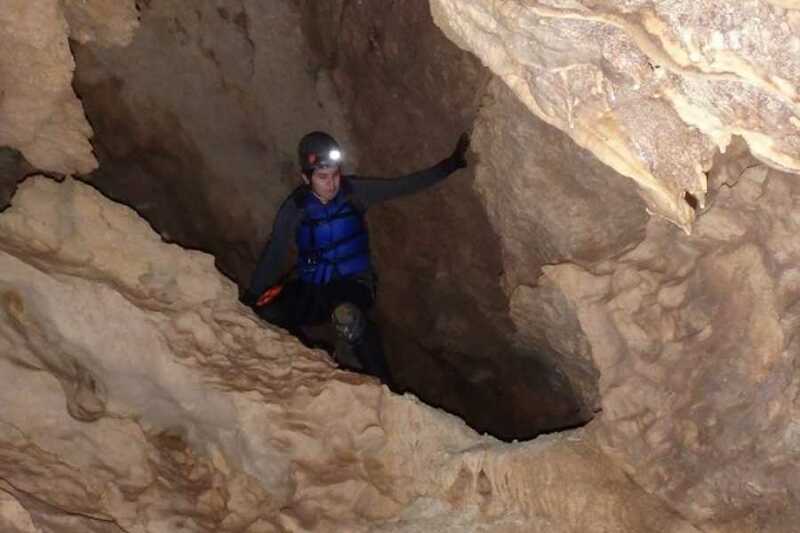 Once you leave the base you arrive to a cave through which you will navigate for 1.5 (+) hours with a small creek flowing under your feet. 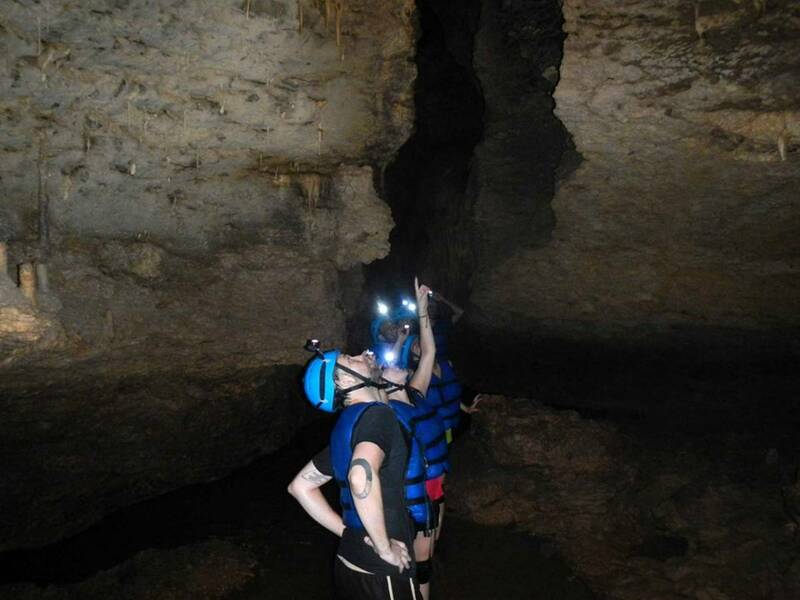 Within this system you find beautiful formations and enchanting pools. 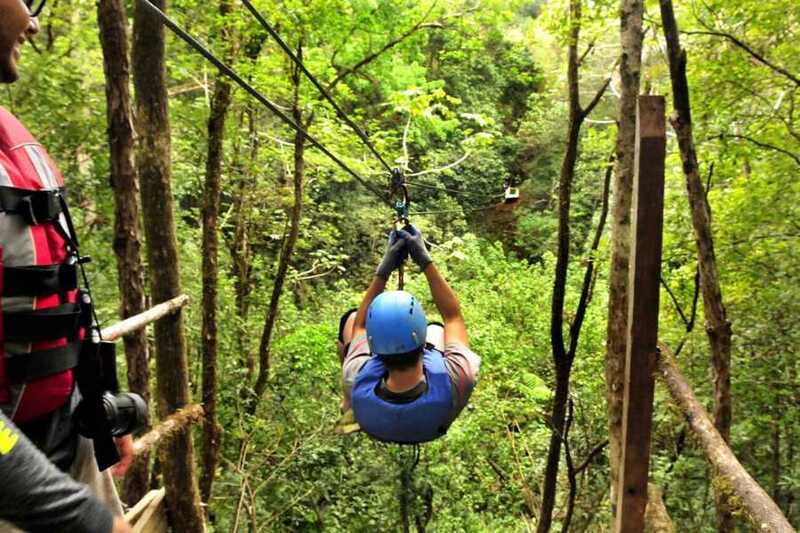 After this system you arrive back to the middle of the park for a short break. 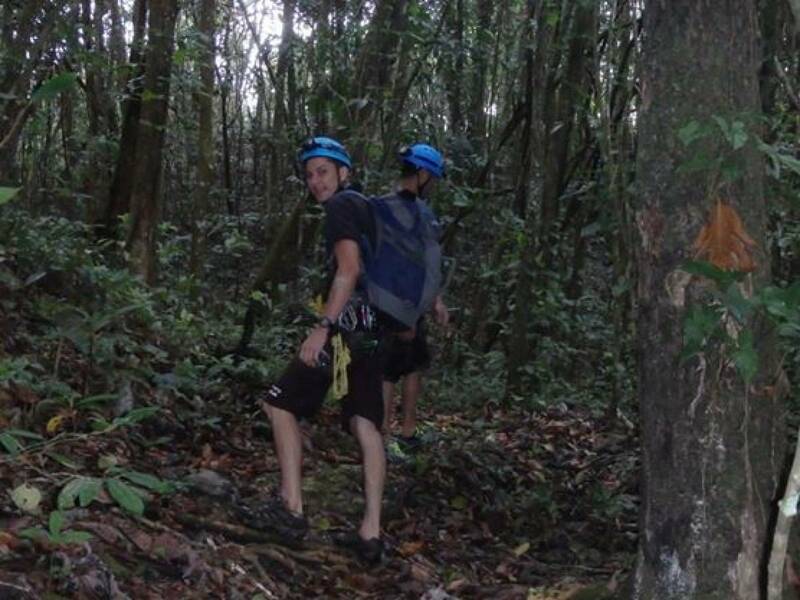 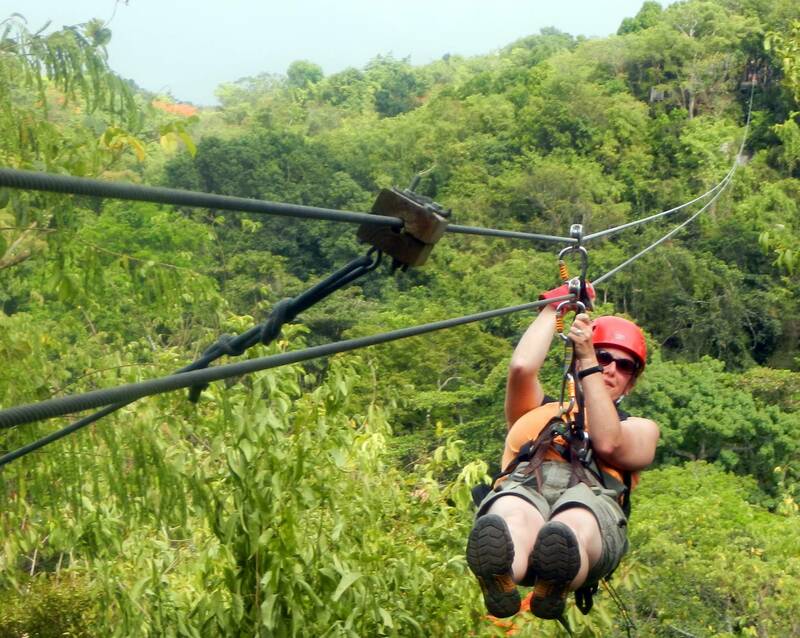 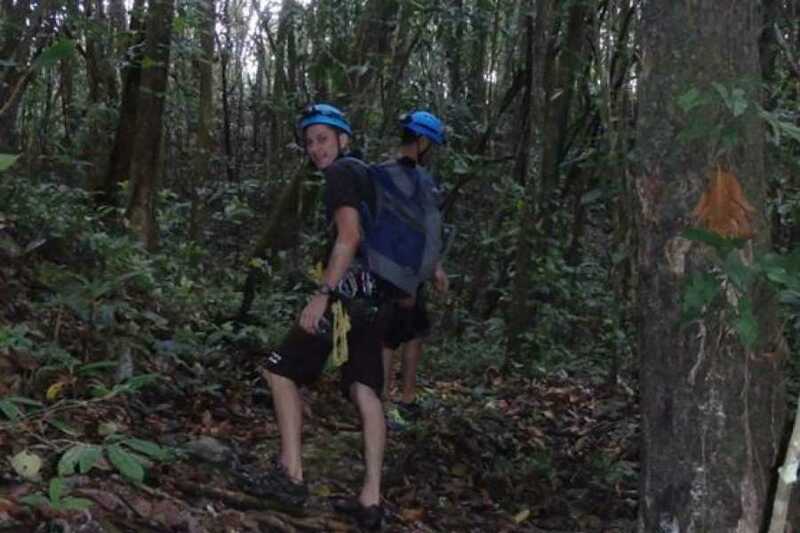 After a break you begin a hike through the rain forest conditions visiting several more caves, zip lines and 1 rappel. 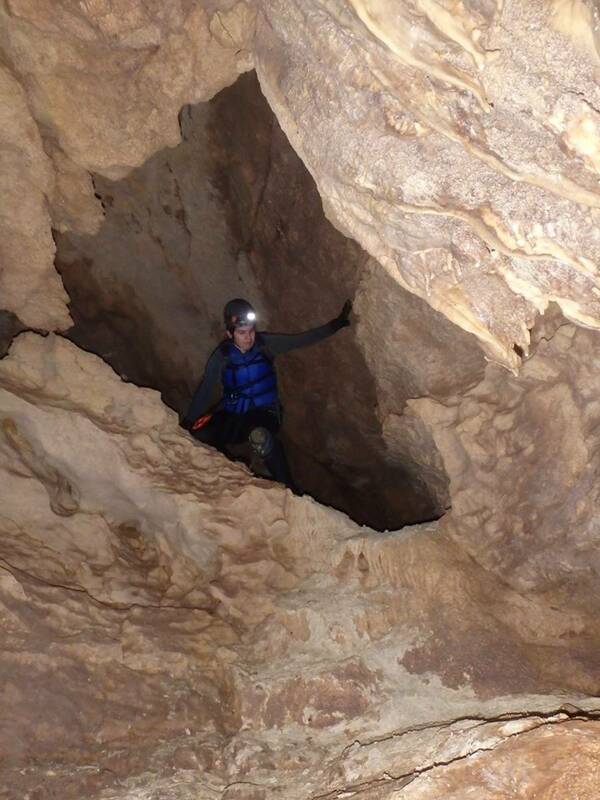 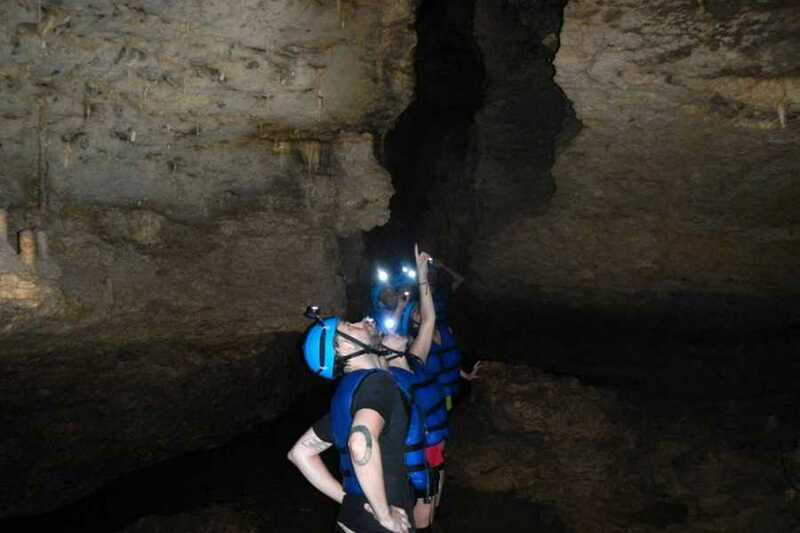 This rappel is from the mouth of a cave down to the last part of your adventure. 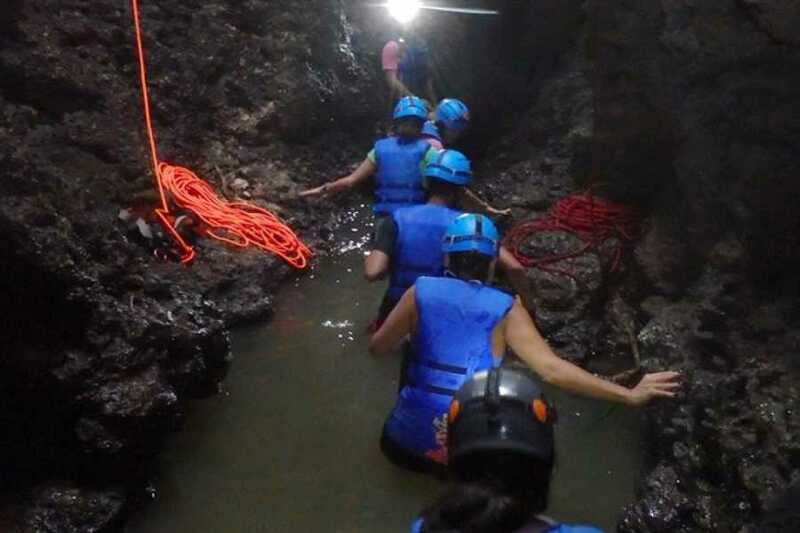 While you are within the last cave you will take an exhilarating jump in to your last fresh water pool within the cave with a beautiful water fall. 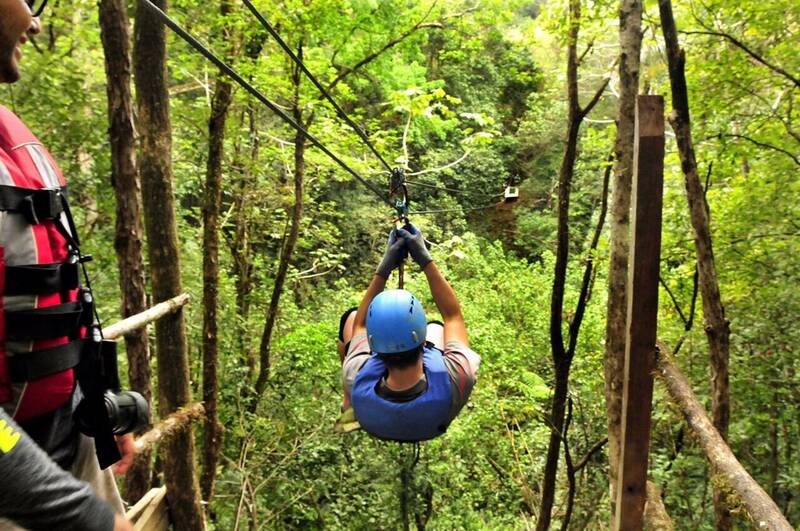 You'll be exhilarated at your triumphs and amazed at the landscape.